Our Cheerleaders are the epitome of school-spirit and pride. St. Bernard Cheerleaders participate at home football, volleyball and basketball games. The girls perform at student pep rallies and spark excitement at many school and community events! 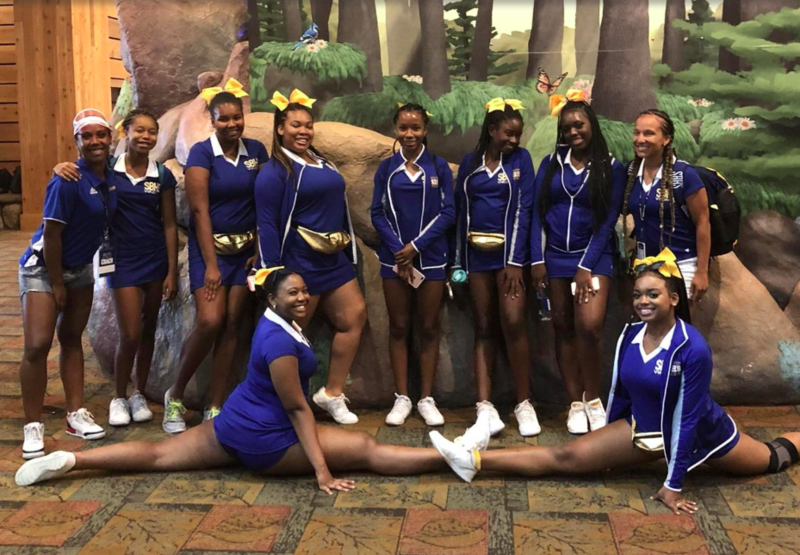 Membership on the St. Bernard Cheerleading Squad offers a unique opportunity for personal growth, leadership, and involvement in diverse activities. The attitude, dedication, and enthusiasm of the members are just as important as the skills involved in Cheerleading. Our Cheerleaders are committed to the highest level of athleticism, performance, self-discipline, respect for the school and others, personal exemplary conduct and the performance of all responsibilities related to the pursuit of school spirit and pride. Furthermore, cheerleaders demonstrate a proven ability to balance academic requirements of their perspective school and demands with extra-curricular and personal activities.